Operating out of Tanzania, Fast Jet airline was launched in 2012 and is fast becoming Africa’s first low-cost airline affording travel opportunities for many that could never before afford to fly. Fastjet Airlines South Africa presently operates four out of its six ‘Airbus A319s’. The ‘A319’ designed to carry 145 to 156 passengers is a single aisle twin-engine jet affording a low environmental impact with a high level of efficiency and comfort for passengers. 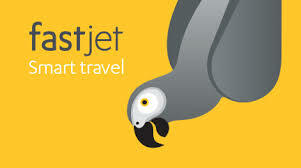 Fastjet’s operation complies with international standards of safety, security, quality and reliability. Over 90% of Fastjet flights arrive timeously and in their short period of operation, the airline already has a loyal customer base of which 80% are repeat Fastjet passengers, so popular is this airline. Fasjet Airlines offers some really great prices. The most popular routes include Fasjet Flights From OR Tambo International Airport To Harare International Airport from as little as R1408.00. Fastjet’s international operations depart out of ‘Dar Es Salaam Airport’ to Johannesburg, Lusaka, Harare, Entebbe and Nairobi. Additionally flights operate from Victoria Falls and Harare to Johannesburg and Harare to Victoria Falls. The airline’s domestic routes operate to and from Zanzibar, Mbeya, Kilimanjaro, Mwanza and Dar es Salaam. Fastjet permits each passenger, free of charge, one piece of cabin luggage. With no weight limitation, dimensions may not exceed 56x45x25 but the passenger must be capable of placing and removing his cabin luggage from the overhead locker without assistance. Any pieces exceeding the dimensions specified will be carried as hold luggage and the passenger will incur the additional cost at airport prices. Babies not flying in their own seat do not have a cabin baggage allowance. In accordance with requirements of South African Civil Aviation, passengers have an allowance of 7kg with dimensions no more than 56x36x23. To maintain low-cost airfares, passengers taking additional luggage will pay an additional amount for their hold luggage. It’s recommended to pre-book your hold luggage online that offers a 50% discount or more, compared to booking at the airport. Passengers have an allowance of two pieces, with each piece weighing no more than 20kg to avoid additional penalties. For safety reasons, no one piece may weigh more than 32kgs. Refunds or part payments will not be remitted for pieces weighing less than the weight paid already paid for. Travellers taking any sports or musical equipment pay the additional relevant rate as these items are not considered as normal luggage. Fastjet passengers will be totally absorbed while reading the airline’s ‘Travelsmart In-flight Magazine’ with no less than 68 pages covering a wide variety of interesting topics and can also subscribe to the magazine. Passengers are permitted to use mobile phones and any device with wireless data services when the aircraft is at cruising altitude and only when the flight safe mode is enabled. Cabin crew will advise passengers when they may make use of these items. In-flight meals and snacks are not included in the low-cost airfares but passengers can enjoy a full menu, savoury and sweet snacks and refreshments of hot, cold and alcoholic beverages. Fastjet has code-share agreements with ‘Fly Jamaica Airways’, ‘Passaredo’, ‘T’way Air’ and ‘Emirates’ and partnerships with ‘Ziff Partners’ (Zanzibar International Film Festival), ‘Hahn Air Systems’ and with ‘Venere.com’ an ‘Expedia Inc.’ member that’s the world’s largest online travel company affording Fastjet passengers access to a great variety of hotels. Travellers are encouraged to book their cheap Fast Jet flights online with us and any extras affording further saving than booking at the airport. Additionally online, at a glance travellers are aware of special deals and can simultaneously book their cheap car hire and hotel accommodation. Beneficial to travellers is registering for our newsletter that keeps you up to date with specials and competitions. Travellers in South Africa can book online or phone +27 (0) 10 500 2560 or email customer@fastjet.com with their enquiry.